YES invites you to invest in the leadership development of our future YES leaders. The YES experience depends on its leaders. Their deep desire to guide others towards sharing Christ’s love with all people, paired with YES’ approach to servant-leadership, helps us create true experiences of Christian community all over the country. With your help, we hope to raise $5000 to bring up to 12 amazing young adults to Pittsburgh in May 2017 for YES Leadership Training! On October 28, 2016 the teens of St. Ignatius Antiochian Orthodox Church in Franklin, TN and I, along with our youth advisor, John, headed to Nashville! We began our day learning about the difference between fixing a problem and serving our fellow brothers and sisters in Christ. This helped us to ensure our hearts and minds were in the right place to participate in some activities later in the day. Unbeknownst to us, there was a festival going on at the location we had planned to go, in Nashville. We took this as an opportunity to serve this community of people that we believe God lead us to. This outing was much different than other service projects that I have been a part of before. It was very unstructured and we were free to help in any area we felt drawn to. We began our time with a poverty simulation where we only had $3 for lunch. My group of 5 bargained a bit with a lovely man who was selling Mediterranean food, and we all filled our bellies with $15 total! We offered to give him $5 to pay for the next customer. Instead he gave us FIVE boxed lunches for our $5, and he asked us to hand them out to anyone who needed one. This was such a huge blessing!!! My group members and I loved this unique opportunity. We continued our day in Nashville by participating in a “World Party” where we essentially just spread the love! Our whole group had face paint, candy, and superhero-themed signs. 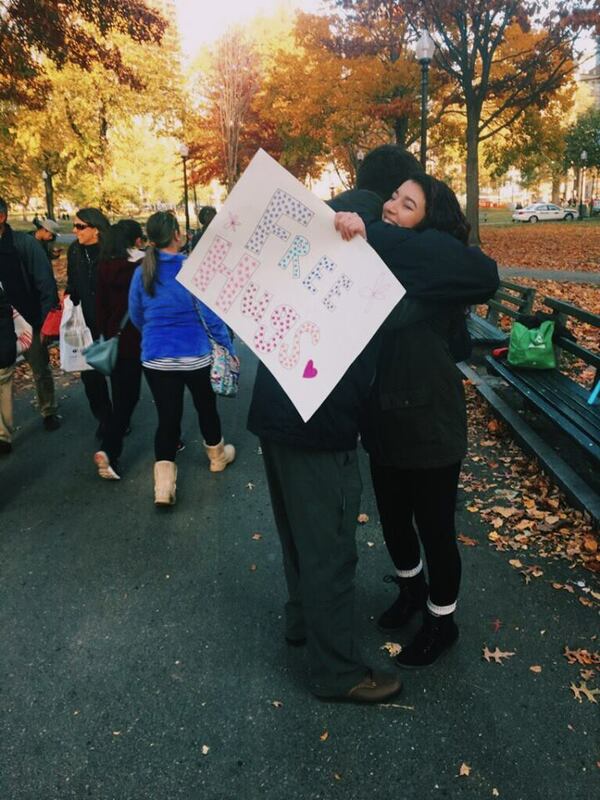 A couple teens and I walked around with a candy bucket and a sign that read “FREE HUGS”. This was such a fun activity! We are able to connect with so many people that we had never met before, and share hugs with them. This was my favorite part of the day! I am very thankful for this opportunity, not only to serve with those who I have grown up with, but also new friends who, by the end of the day, felt like family. I strongly encourage everyone to participate in a YES trip. You won’t regret it!